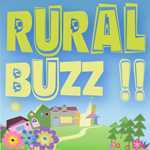 Rural Buzz is always excited to alert you to up-and-coming events, and small business owners who might not yet be on your radar. While we enjoy seeing the innovation of Ontario’s finest, we also enjoy hearing their stories of how it all began. For Glass on a Wire jewelry designer Susan Cowtan, it all began with career-ending pain. Susan had always enjoyed making jewelry, and often gave her handmade creations to friends and family as a gifts. However, this was a hobby that she only did from time to time. In 2013, a painful medical condition forced a change in careers. Susan left the job she loved at a local nursing home, and wasn’t sure what to do next. With no job, and persistent pain—Susan turned to her beloved hobby of jewelry making. Within a few months, Susan had more jewelry then she knew what to do with, so she rented a table at the Harrison Farmer’s Market—and Glass on a Wire was born! What started out as a distraction from pain, and a summer commitment to the Harriston farmer’s market has grown into a full-time business. A business that allows Susan to work from a place of passion each and every day! Glass on a Wire’s one-of-a-kind designs can be found in various retailers throughout the Minto community. Glass on a Wire has a studio located at 44 Markland St. E, where customers can come in to purchase from her current collection—or place orders for a custom design. She can even design jewelry from broken or repurposed pieces, and perform minor jewelry repairs. Glass on a Wire participates in many local art and jewelry showcases and events, and Susan hosts workshops to teach aspiring jewelry designers how to craft their own handmade pieces. Susan’s talent and business savvy have not gone unnoticed. Glass on a Wire is currently one of the finalists in the Pitch it- Minto Business Plan Competition—which is an exciting opportunity designed to stimulate and support local expansion. All of Susan’s jewelry designs are handcrafted one-of-a-kind creations. She designs statement necklaces, bracelets, earrings, and more. From elegant, to whimsical—and everything in-between. To see her designs firsthand, head over to her Rural Buzz profile. You can also call Susan directly at 519-510-5056 to discuss a custom jewelry design.